Barrett Robinson offers a full line of display boards including chalkboards, cork boards, dry marker boards, combination boards (with chalk or dry marker board plus cork board), and reversible dry marker boards. Made from durable high pressure laminate for a surface that will stand the test of time, our Dura-Rite® dry marker boards provide an exceptionally wear-resistant surface at an affordable price. The dry marker board is trimmed in anodized aluminum. Each dry marker board includes a full-length tackable map rail and a full-length accessory tray finished with our rubber Dura-Safe® end caps. Our porcelain steel chalkboard surface is the finest available. The surface features a fine-tooth abrasive finish and superior color contrast that makes chalk easier to read. The vitrified porcelain surface erases without ghosting, and is colorfast and non-fading. The surface also doubles as a magnetic bulletin board. Clean up is easy with ammonia and water. 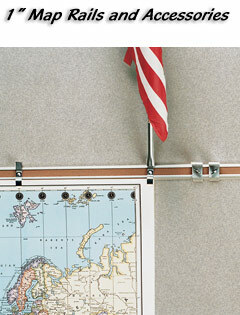 The chalkboard includes a full-length tackable map rail and a full-length accessory tray with protective Dura-Safe® rubber end caps. Get twice the functional surface of a wall-mounted board in about the same space with our Dura-Safe® reversible dry marker boards. Every Dura-Safe® reversible dry marker board features an accessory tray fully encapsulated in silicone rubber to eliminate sharp edges and promote safety. The tray comes in a variety of colors, including custom colors, and is available with your choice of text (an upcharge applies to custom orders). Each mobile Dura-Safe® dry marker board is a double-sided dry marker board and available with our superior magnetic porcelain steel markerboard surface or with 100% natural cork tackboard. The reversible dry marker boards are available in two sizes: 40"H x 30"W or 4'H x 6'W. The board rotates 360º on a pivot hinge and locks into place with the turn of a knob. Available trimmed in anodized aluminum, the Dura-Safe® reversible dry marker board fits into any meeting, training or classroom with ease. The frame features a wide base design for stability, and includes 3" locking casters for mobility. Featuring an economical and environmentally-friendly cork tackboard surface, Valu-Tak cork boards provide a quality surface at a budget-friendly price. The 100% natural cork used on the tackboard surface is a renewable resource, harvested responsibly from cork trees to allow a useful life of more than 150 years for each tree. The cork surface is bonded to a 3/8" thick layer of insulation board for excellent tack-holding qualities. Each cork board is framed in anodized aluminum trim. 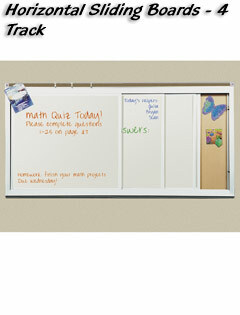 Designed to satisfy all of your display board surface needs within one sturdy framed unit, our combination chalk-/markerboard and bulletin boards join both writing chalkboard or markerboard and tackboard surfaces into one unit for superior functionality. Available with either a porcelain steel chalkboard or porcelain steel markerboard surface coupled with our high quality Add-Cork tackable surface, combination boards are available in a wide variety of configurations to fit your requirements. Porcelain steel writing surfaces consist of a layer of steel laminated to 7/16" thick MDF for superior moisture resistance. The tackable surfaces consist of a 1/8" layer of natural cork laminated to a 3/8" thick layer of insulation board. 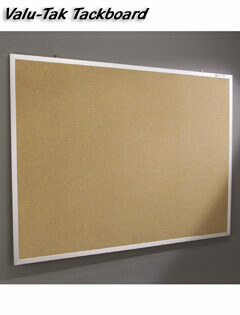 Tackboard surfaces are available in natural cork or in vinyl-covered cork for easy maintenance. 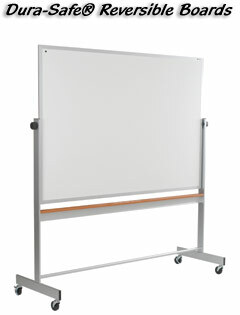 Chalk/marker and bulletin boards are framed in anodized aluminum trim with a full-length accessory tray. The tray features our protective rubber Dura-Safe® end caps. 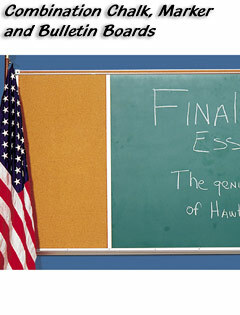 Combination boards are custom and non-refundable. Save wall space and add functional board surface with our innovative horizontal sliding boards. 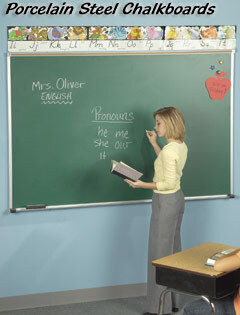 These customizable boards allow up to two-and-a-half times more usable surface in the same area as a standard board, featuring panels that slide behind or in front of each other on a unique and smooth track system, making the boards ideal for multipurpose rooms or for keeping sensitive information hidden. Choose from two-, three-, or four-track horizontal sliding systems. Lightweight core material and precise alignment of the upper and lower tracks ensure easy operation. The horizontal sliding boards are available with porcelain steel markerboard or chalkboard surfaces, or any Best-Rite® tackable surface. Framed with heavy gauge anodized aluminum tubing, the boards include a 2" high full-length tackable map rail and a full-length accessory tray with enclosed end caps. Each sliding board panel is 4'H and available in widths from 6' to 20'. The horizontal sliding boards ship fully assembled and include full-length mounting brackets on the top and bottom (bolts not included). 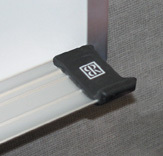 Horizontal sliding boards are custom and non-returnable. Turn any empty wall into a display area with our versatile and durable map rails. The rails are ideal for hallways, classrooms, offices, or libraries, and can be mounted individually, or attached to an existing markerboard for added versatility. Available in 1" or 2" heights, the map rail consists of an anodized aluminum extrusion framing a 1/4" thick colored cork insert that is resilient and self healing. Optional accessories are available, including hook clips, flag holders, map winders, and end stops.